Irish Hello is our latest beer brewed in collaboration with homebrewers as part of our Homebrew Alley series. 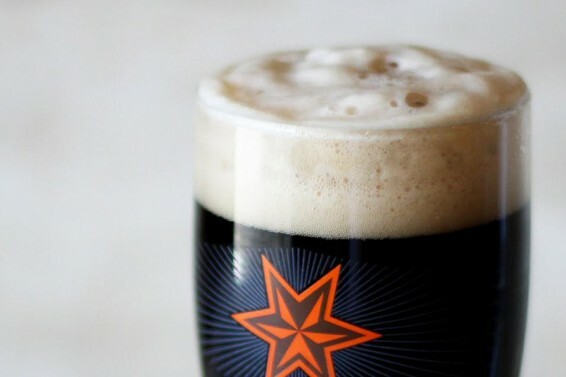 Tom Jambor’s stout was a standout brew at the fest this year — piercingly roasty, creamy, and extra-dry. 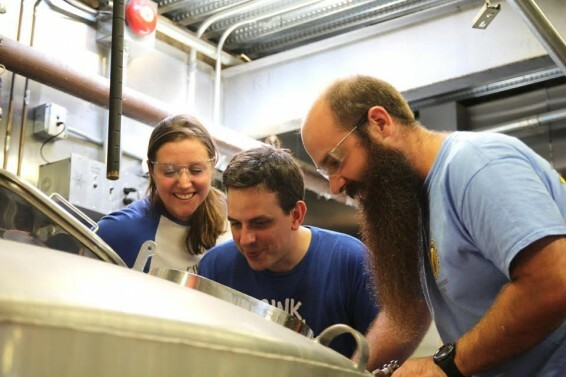 In a homebrew contest highlighted by Imperial and mixed fermentation brews, Tom’s brew resonated with our team due to a certain clarity of flavor. Keir Hamilton, our brewer-turned-beer judge for Homebrew Alley, was sampling by the oz, but estimated this was a brew better drank by the liter. So we brought Tom and his crew in to brew a draft-only version of his classic Irish Stout. One technique we used to get a powerful roastiness in the brew without introducing too much astringency or bitterness is known as “capping.” We mashed in with our other grains, but saved the roasted, unmalted barley (the blackened barley that contributes that roasted flavor to many stouts) for the end of the mash rest. This helps us to extract flavor but not harshness from the blackened grains. You should notice as you drink the brew, there’s serious depth of flavor without a lingering bitterness. We’ve noticed that after one pint of the Irish Hello, another one seems to show up, almost unannounced. You’re not quite sure the barkeep said it was on its way, but you are sure of thing… you want another.